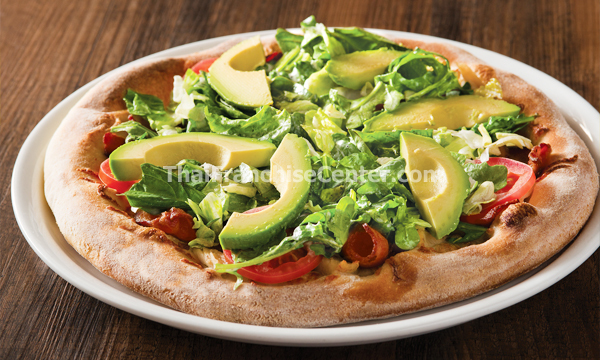 California Pizza Kitchen — three words that comprise a household name in first-class West Coast cuisine, fine dining, and filial values. Seven years ago, we witnessed the breakthrough of gourmet pizzerias in Manila when the first CPK restaurant opened its glass doors in Glorietta. CPK has been known for its good customer service, snappy servers and hosts, reception, and utility staff. It constantly reinvents itself, from cuisine to marketing, putting it at the forefront of customer service. Its famous yellow-and-black interior has become a trademark since 1985. It is a mark of its influence that pizza parlors, which came after CPK, have tried to simulate the design in one form or another. It is also known for the CPKids Menu that appeals to the younger diners, encouraging children to “try something new”. This allows the resto to reach out to casual diners, whether you’re in for food adventure, merienda, liquor, or tea and pie with friends. To date, the premium pizza chain has 150 full-service restos in over 27 US states, including Washington, California, and Hawaii.